Why Doesn't My Rank Match With AccuRanker? Reasons and explanations for why your rankings might be different than the one AccuRanker provides. In this article we will be focusing on why the rankings for a keyword you see on Google might not match entirely with AccuRanker, and what can be done. The majority of keywords are added with only a "Search Locale" but no location, rightly so if Local SEO is not a priority. In order for Google to show you the most relevant results, your own location can have a heavy influence on the search results. Even in Incognito mode, Google still looks at your IP-address to give you a location. 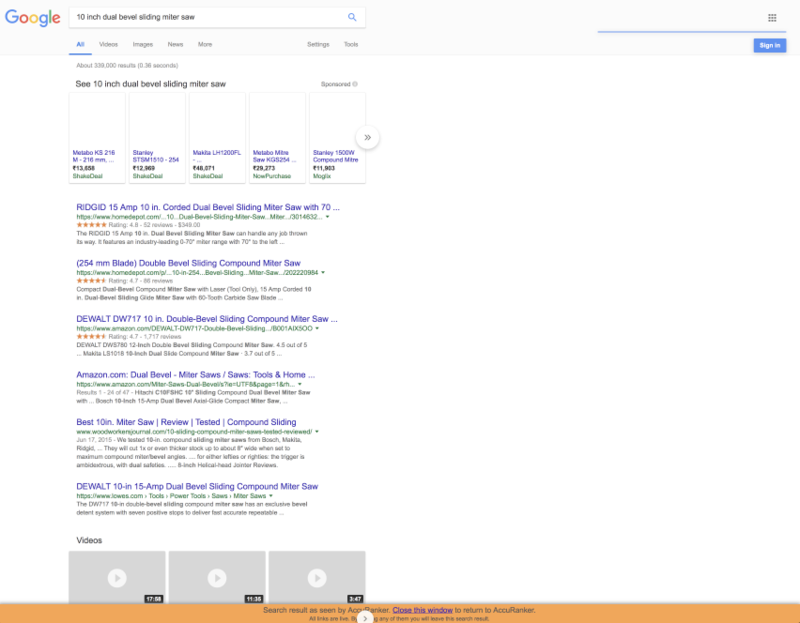 To see which your location it gives you, go to the bottom of the SERP page. 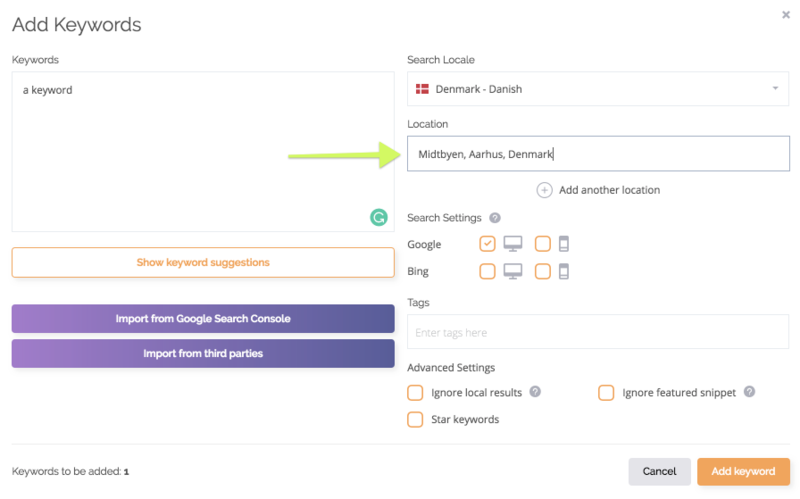 If your Search Locale is "Denmark" with no location, we are essentially doing a clean Google.dk search and blocking Google's ability track our location, to provide the most accurate data. What can be done to neglect this? 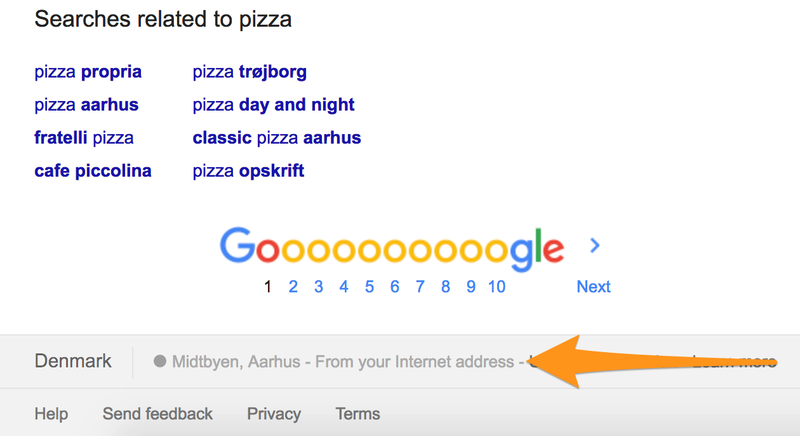 We would recommend re-adding the keywords with the location that Google is tracking you for. The locations bar in "adding keywords" can take in all locations that are also in Google Maps, you are not only limited to the ones it suggests. Using AccuRanker's Live SERP feature allows you to see the SERP that AccuRanker is reading, determined by the settings you've chosen.